This is part two of a three part jewelry series on learning to quill. 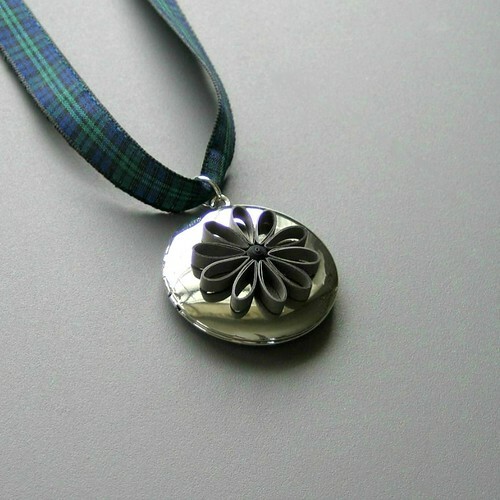 Last week's tutorial showed how to make a crimped flower locket... a super-simple design, good for those who are brand new to paper rolling. The same can be said about today's ring coil flower... it can be made in under an hour and the end result is nice enough to give as a gift. 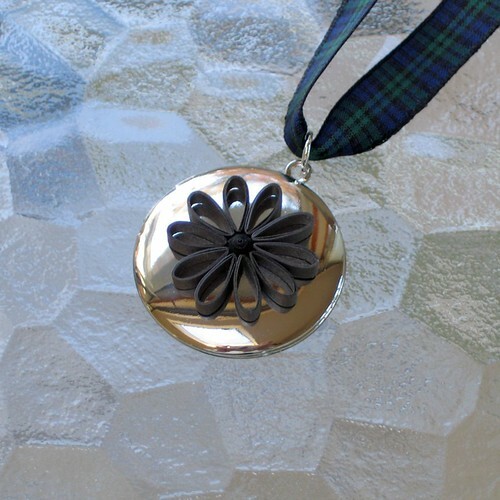 This pendant isn't as feminine as the first considering the gray and black color scheme and tartan ribbon. It's a little larger too - 1.25 inches in diameter. 1. 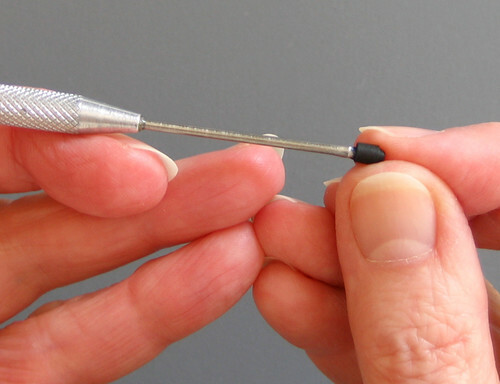 Make the flower center: roll a 3 inch black tight coil on quilling tool of choice. 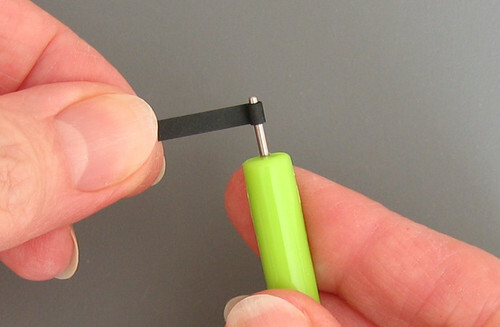 (You'll find more info about choosing a tool in Part 1) Glue end in place before slipping coil off tool. 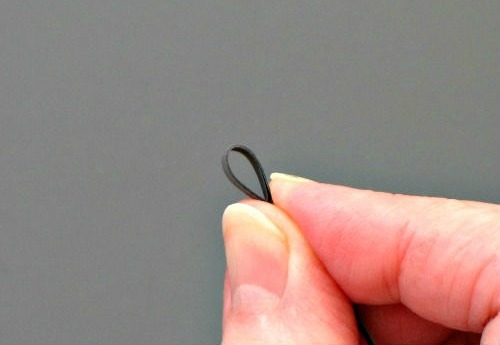 Tip: if the strip has a torn end, the paper will adhere smoothly when glued, making the coil look nice and round. 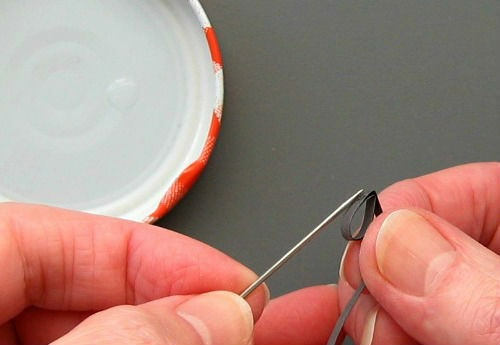 Shape the coil top by pressing a T-pin or a glass head pin against one side to make a rounded dome. Then apply a small amount of glue inside the dome to preserve the curve. 2. 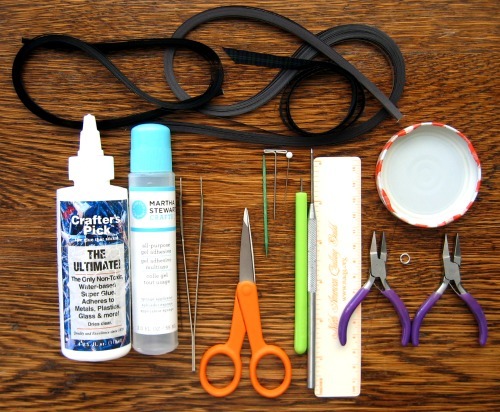 Make 10 matching ring roils by wrapping a length of quilling paper three times around a dowel. 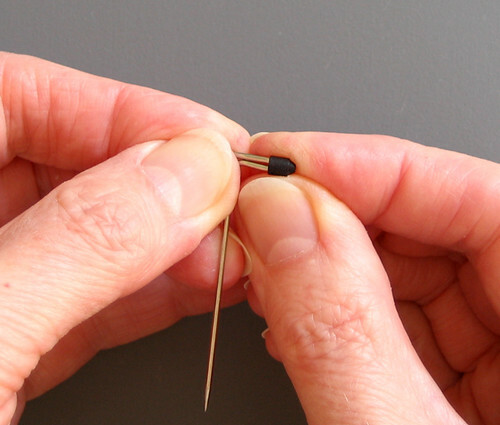 Experiment with different dowels to determine which one produces the correct coil size for the pendant you are using. 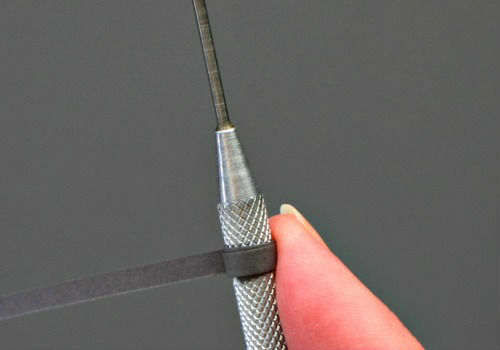 Probably one of your tool handles will work; I used a paper piercer. Slide coil off dowel, tighten it if necessary by pulling the strip end, and pinch one spot to a point to create a teardrop shape. You'll feel all thumbs at first with the wrapping/sliding/pinching, but after a little practice it becomes second nature. Glue end and trim excess paper. 3. On a non-stick work board, glue tips of teardrop petals around the domed center taking care to space them evenly. 5. 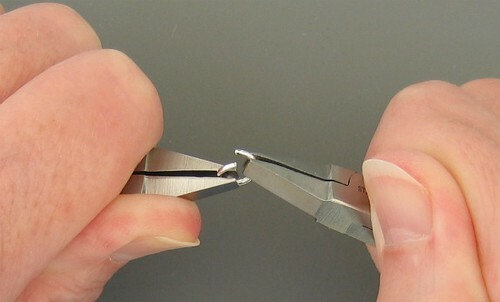 The next day, twist open a jump ring with pliers and slip it through the fixed locket ring. Close jump ring and thread onto ribbon. Finish off with an adjustable sliding knot so the necklace can be slipped on and off over the head. 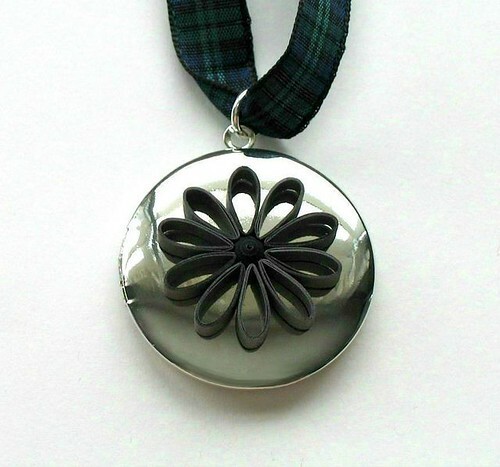 The locket is ready to wear or give to someone on your holiday list; perhaps a young girl who might be inspired to try quilling too. Kids usually love to quill! September 2017: You'll find many new quilled jewelry designs in my how-to book, The Art of Quilling Paper Jewelry. Very pretty Ann. Looking forward to your next one. I'm new to your blog and so happy to find it! Love your tutorial today. All the details make it easier for a new quiller to learn. ann...your ring coil pendant is as pretty as the crimped rose! i love ring coils! gre at tutorial! i look forward to the next piece of jewellery.